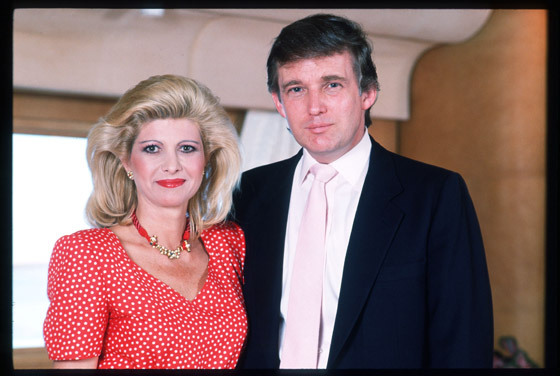 Donald Trump in the 80s was quite a different kettle of rotted fish from the TV personality we (cough) “love” now. First off, he was relatively new and hadn’t yet been given enough time to do much damage. Even then, though, there was already something cartoonish about the fellow. Start with the name, which sounded every bit as manufactured as Stuart Goddard telling some coked-up MTV VJ his name was “Adam Ant.” Ridiculous. Except the Trump name was real–Donald was the baby prince of an already established scuzzball empire built by his father. The surname is an anglicized version of the Low German word “Drumpf.” And yes, just as you might have guessed, that translates to “toadstool” in English. His two great accomplishments this decade were the construction of Trump Tower on Fifth Avenue and the 1989 release of the board game Trump: The Game. The Trump Tower is everything you’d expect from something that was unveiled in the go-go 80s–tons of the “world’s finest marble” and heaps of the “planet’s rarest brass” all slapped together in the public areas to no memorable effect, but the black monolithic exterior does have a dozen or so live trees growing out of it, so you can give Trump credit for being a brave pioneer of sustainability if you want to. As for Trump: The Game, not enough people ever played it for history to record whether or not it was any fun, but I can say that as far as its name goes, it doesn’t hold a candle to the one released last year by a certain LA rapper called The Game: The Game. His woman of choice for this decade was Ivana and she was very blond and very tall and liked to tell little fibs about being on the 1972 Czechoslovakian Olympic ski team. I don’t think she ever accomplished anything other than bringing three more Trumps into the world (readers can decide for themselves whether that is an actual accomplishment or something more akin to a criminal act) but her first name does comprise exactly one-half of my all-time favorite drag queen stage name: Ivana Koch. Since this blog only covers a brief ten year period I am unable to discuss all the mischief he’s caused in the past 30 years or so, like trying to pave over half the Scottish Highlands or threatening to bum rush the White House every four years. He’s a hard man to look at, and recent rumors about him being the object of a new float in the 2014 Macy’s Thanksgiving Parade are worrisome. It probably won’t come off– The Donald would never cede control of his image to a bunch of mere designers and float makers, but if he does insist on “playing himself” this coming November, organizers will hardly need to pump in any helium in order to send his bloated corporeality skyward.